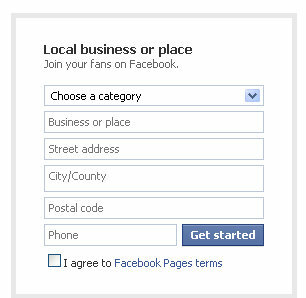 If you don’t already have a page for your business on Facebook, what are you waiting for? Here is a step by step basic guide to setting one up. (You must already have a personal profile set up on Facebook). 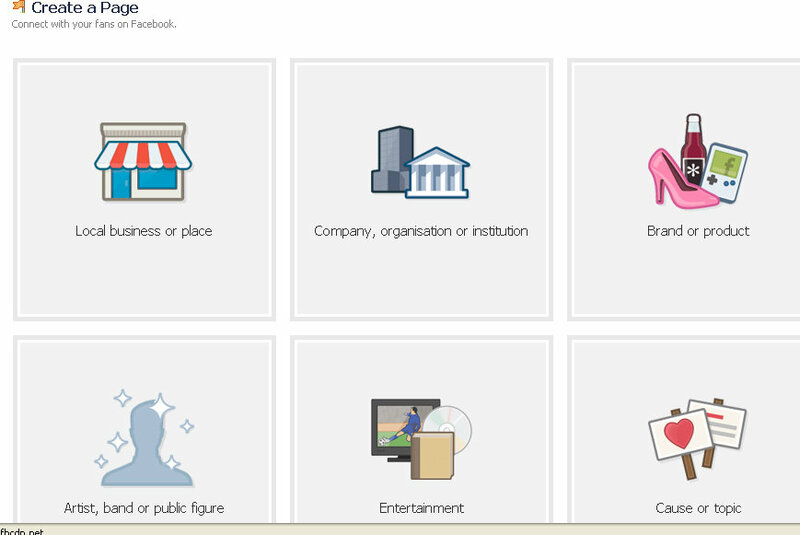 Each will give you slightly different features on your page – for example local business will have an option for opening times. You can change this later if you wish. 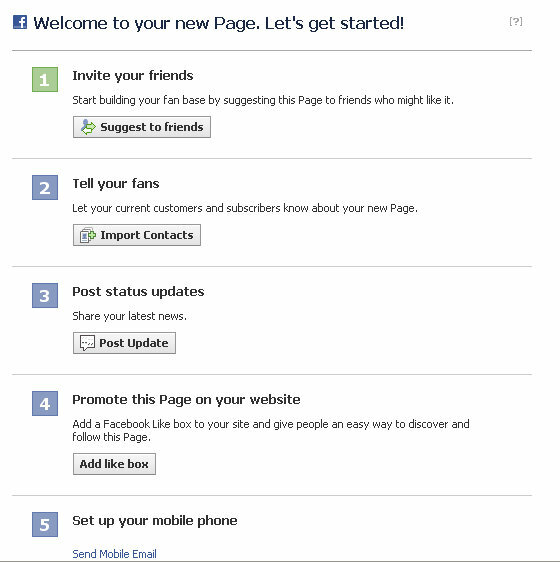 After step 3, your page should appear, along with Facebook’s own Step by Step guide on how to continue (which is under a “getting started” tab. Make sure you “like” your own page (click the “like” button at the top). These steps will appear each time you open your page as the administrator, but will disappear as you complete them and your page begins to grow. Instead of the standard question mark, one of the most simple things you can do to make your page more appealing is to click on this and upload your own photo or logo. Click on the “info” tab and then on “edit information”. Fill out these details, keeping consistent with your messages from other marketing materials such as your website. Then click on save changes. There, you now have a facebook page! The next steps are to build your “likers” and add extra information and tabs to your page (posts coming soon). Great! Thanks! Will get on and do this ASAP (my Mum has been on at me to get this done… now I have no excuse).